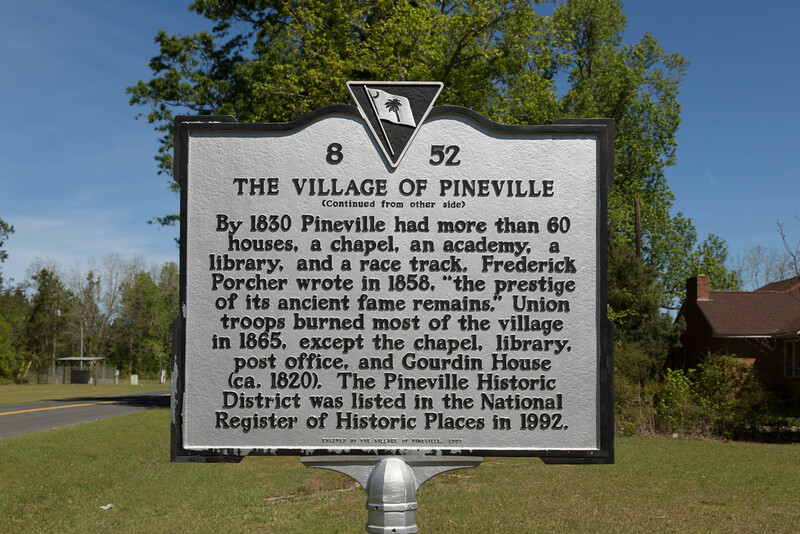 In the mid to late nineteenth century, Pineville was a busy little village with as many as a hundred buildings, including an academy, racetrack, library, churches and homes. People were attracted by the pine trees and thought it was a cooler and healthy environment. 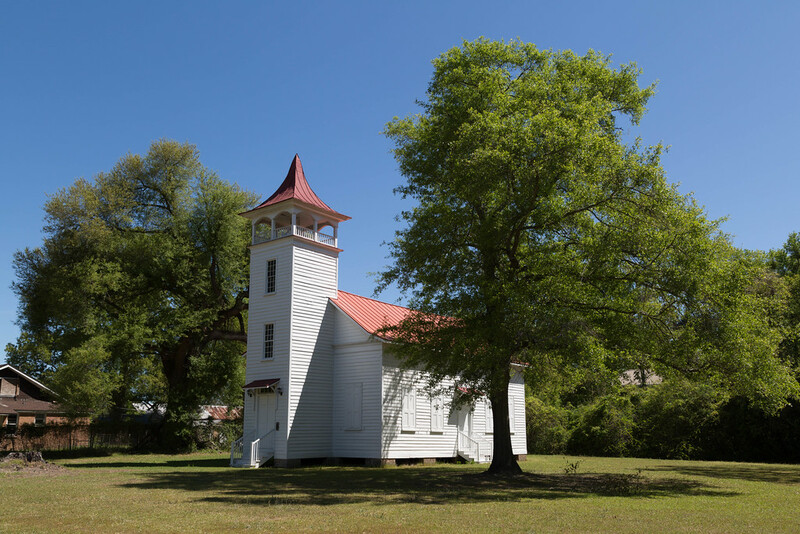 Sadly most of the town was burned by Union troops at the close of the Civil War in April 1865. Following the war, much of the land that made up the village was converted for use as farmland. 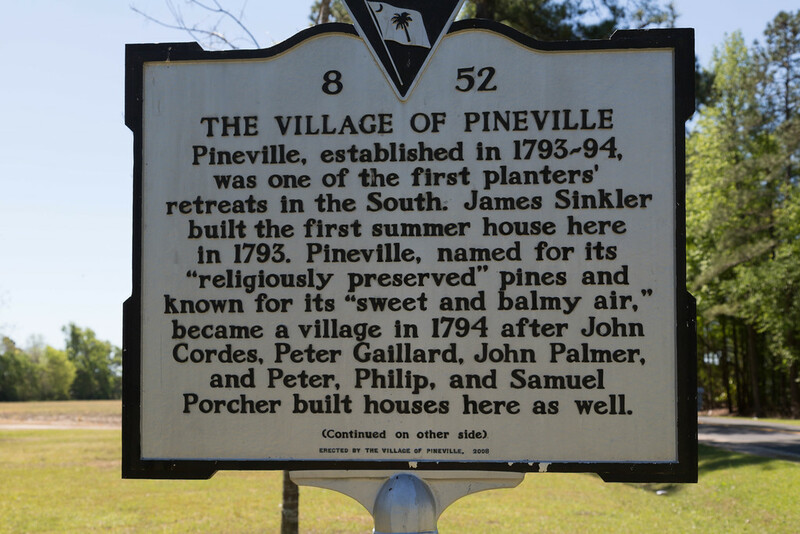 There is a sign leading to the Pineville Historic District but it is a few scattered of buildings. 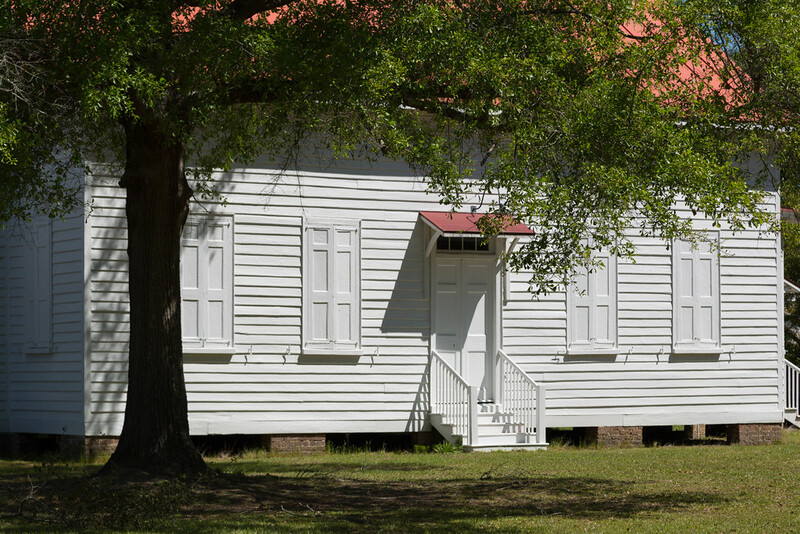 The main one is this beautiful chapel on Matilda Circle. The chapel reminds me of one I've seen here.